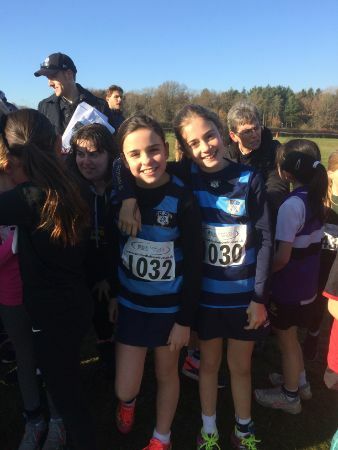 Just two girls represented Saint Ronan’s in the Y5 race, Sydney W and Clara S finding their place on the start amongst 148 competitors. For these girls, the prospect of two laps of the course loomed. The open plan of the circuit meant that many of the girls shot off at the start but the hills took their tolls on young legs, many slowing to a walk on the second lap. All credit to our ladies who kept running throughout. Working their way through the field, they tackled the hills with determination, both girls looking strong as they sprinted the final 100m into the tunnel: Sydney in 17th (11:41) and Clara, well in the top half of the field in 61st (13:17). Excellent running ladies!